Richard began classical music studies during high school in Michigan's upper penninsula, which brought him briefly to Moravian College in Bethlehem, PA. In the following years he began studying traditional history and culture with Elders and community members from tribes in Minnesota and other parts of the United States and Canada, before living for a short time in Taipei, Taiwan in 1987. Beginning in the mid-1980s Anguksuar was part of a community of local Native community members that began local and international organizing efforts which resulted in the ongoing International Two Spirit Gatherings. His professional work has been in health and human services, as well as arts and culture, with a dual focus on public policy and philanthropy. His most recent organizing and writing have been centered around Native American language revitalization. As an artist, Richard works with a variety of media that includes wood, copper, leatherwork, and bead- and quill-work. His journalism work has been in print and broadcast media around the country, as well as creative and technical writing which have been marketed nationally and internationally. 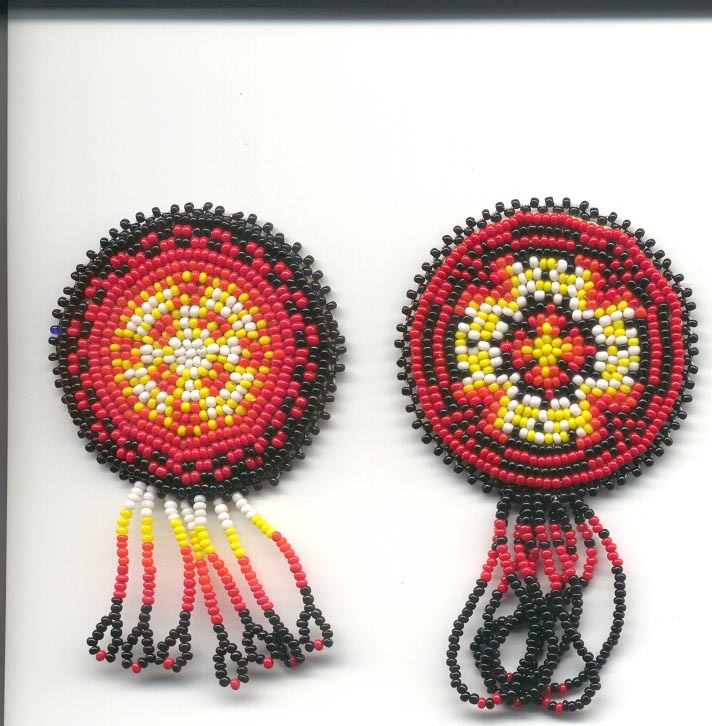 At this website you can view some images of his art, primarily bead- and quill-work, and leatherwork. Most pieces reflect an attempt to continue in the spirit of traditional and older styles in ornamental, decorative and utilitarian art. Interests include traditional Indigenous foods & cuisine - including gathering wild foods, cultivating heirloom varieties and traditional gardening practices. Travel, trans-cultural learning and teaching, and long distance bicyling are also on the top-10 list.